Gregory Lozinak, CEO of Monument Capital Management, discusses the company's commitment to affordability, his biggest influences in the industry and his goals for 2017. With a severe housing shortage in the market, many multifamily professionals are looking to invest in affordable community options to combat the oversupply that isn’t attainable to a large portion of renters. As the choice for renting versus buying has made a large impact among the Millennial and Baby Boomer generations, many find themselves struggling to find options that cater to their income and way of living. Greg Lozinak, CEO of Monument Capital Management, discussed with Multi-Housing News the company’s strategy to provide affordable, yet quality options within the workforce housing market, as well as how he views changes in the industry, and how his past roles are helping his growth within the company. 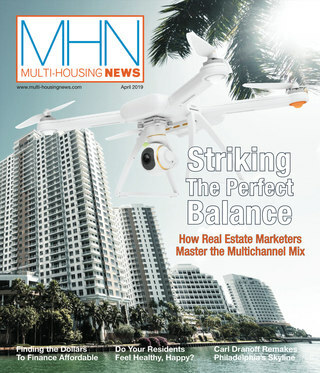 MHN: What trends do you see developing in the multifamily industry? Lozinak: I don’t know that I see any different trends than anyone else is seeing out there in the market. The trend that’s grabbing all the headlines right now is that rent growth is starting to decelerate. On a national basis rents are decelerating, but I think a lot of that has to do with the supply that’s come on in urban markets. We have a value-add workforce housing strategy so we are concentrating on C+ to B- assets in B or better locations. When I say that we focus on C+ to B-, it’s not in terms of quality, but has more to do with the age of the assets. There’s a dearth of quality of workforce housing out there in the marketplace. Workforce housing is housing that caters to residents making between 60 and 120 percent of the annual median income. On one end of the spectrum you have affordable housing and on the other end you have the high-end, A+ assets with all the bells and whistles. The vast majority of the renter population is a renter by necessity versus a renter by choice. On the affordable side of the spectrum, these renters don’t qualify for rental subsidies under a Section 8 program. They are then left with the choice of paying a reasonable amount of their monthly income for housing that may not be well maintained or new, or they have to pay an exorbitant amount of their monthly income to live in a better quality product. 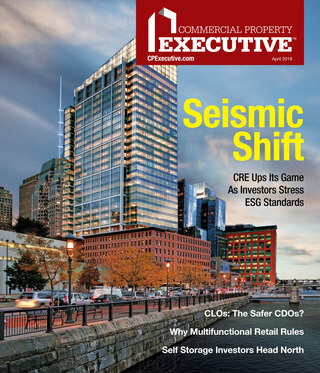 Our strategy is to acquire assets at the lower end of the workforce housing spectrum – around 60 to 65 percent AMI – and execute a renovation and repositioning strategy. Now it’s at 75 to 80 percent of that AMI, but it’s still in that workforce housing bandwidth and a better quality product. So within that strategy we’re still seeing good solid rent growth. We aren’t feeling the deceleration of rent growth compared to the urban, institutional quality assets in primary markets. MHN: What changes do you see happening in the industry under the new administration? Lozinak: I think everybody is asking that question right now. I don’t think it’s had a significant impact, if any, to date. There are some things out there with the tax code changes, carried interest, and immigration policies that may or may not have an impact on the industry as a whole. As of right now, that impact has been pretty limited. MHN: What challenges do you face in your day-to-day operations? Lozinak: The biggest challenge we see is there are so many different software programs for so many different functions or tasks, but the issue is how we get them all to interface with each other in the most effective way to drive our business. Ultimately how do we optimize our software systems? Another challenge is talent acquisition; how do we find the best people out there for the industry and for Monument? And then how do we develop that talent? When we look at learning and development, across a very geographically dispersed platform, we don’t necessarily have the concentration in more than just one or two markets where we can bring a group of people together and develop them collectively. It’s more of an adult education type of environment, so we have to figure out a way to do that through the internet or individual one-on-one training. Lastly it’s the velocity of change. Last year we acquired 10 assets and took on 19 new third party assignments. That’s a significant transactional velocity over 12 months. How do we keep up with that growth? With the volume of acquisitions and dispositions in the industry, there are a lot of assets changing hands one way or the other. MHN: What are the main company goals for 2017? Lozinak: We’re getting ready to begin fund raising efforts for our next investment vehicle with a target of $100 million. Our focus for 2017 is to continue to optimize our software platform while building out an infrastructure that will allow us to raise and deploy that capital. Growing our platform from a people and geography standpoint, and software and systems. MHN: Any changes you want to implement into your role at Monument Capital Management? Lozinak: I think we’re being very deliberate in the selection of new systems and vendors for products and services. With the transaction volume I mentioned previously, we have to be careful about what we pick with strategic initiatives in any given year. And we have to be very deliberate in rolling out new programs. When we implement something new, we can’t just send out an email saying, “here’s a new program we’re now using.” We have to test it, get buy-in, and then roll it out across the portfolio. MHN: What are some recent achievements you’ve made at the company? Lozinak: In the 18 months I’ve been with Monument we’ve defined our vision, mission and values, and built around that foundation to drive our actions and behaviors with all of our customers. We’ve added a lot of talent and bench strength to the platform in anticipation of raising our next fund. We’ve also been very deliberate in adding diversity in a variety of different ways, especially in backgrounds. Where are these new team members coming from and what did they learn in those different companies? How can that experience help the Monument platform grow? We rolled out four new software systems that have helped drive the operating performance at Monument: a behavioral survey tool that helps identify people who culturally fit with how we want to do business, a revenue management software, a lead tracking and management software, and a new property management software. MHN: Who are some of your biggest influences in the industry? Lozinak: I started my career in this industry with Archstone, and the biggest impact from that experience was the culture Scot Sellers built and the positive impact that culture had on the people, relationships and driving the business. I also built a strong operational foundation during my time there. When I was at Clarion Partners in New York, I really learned the investment side of the business as well as how to building a business platform. That opportunity really challenged me and got me outside of my comfort zone which then allowed me to grow. I credit Steve Cordes and Steve Furnary for that. I have been able to use the foundation established at Archstone and Clarion at subsequent stops along the way in my career. MHN: What keeps you up at night in terms of your responsibilities and tasks at Monument? Lozinak: As I look at going out and raising equity for the next fund, it’s anticipating what potential investors are going to want, what questions they’ll have, what areas within the Monument platform that need to be strengthened in order to present the best possible opportunity to our investors.